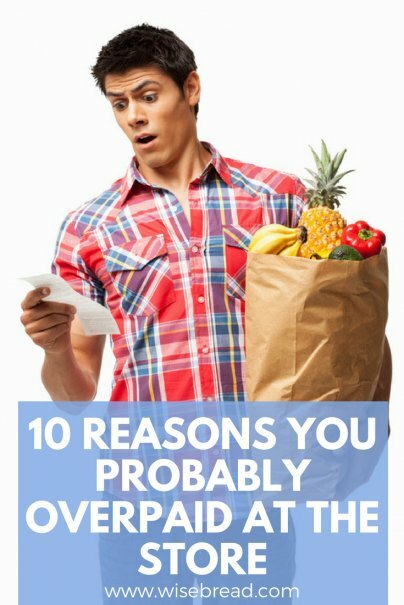 Even if you're a smart shopper, there are still some psychological factors that can cause you to pay too much at the store. After all, stores are set up to convince you to buy things you don't need. But being aware of the following spending traps can help you avoid emptying your wallet on your next shopping trip. There's a reason stores put out neat displays of merchandise within easy reach — they want you to touch the products. Not only does holding a product make it more likely that you'll buy it, but it makes you willing to pay more for it as well. People can establish shopping habits that result in overpaying at the store on a regular basis. For example, you might have a routine of buying your coffee at a particular coffee shop, and your groceries at your favorite grocery store without even looking anywhere else for better deals. Routines are hard to break, as we are creatures of comfort. And that comfort can come at a price. Store displays can prompt you to buy a more expensive product than you originally intended. Picture this: You go into the store looking to buy a basic TV and come out with one of the nicer models with some advanced features (and an advanced price tag to match). When you see a range of products side-by-side, you tend to increase your expectations for the level of product that will meet your needs. Some stores are designed to get you in the mood to spend money. These stores have high quality furnishings, good lighting, and even use scents to get shoppers in the buying mood for certain products. High prices seem more reasonable when all of your senses are being manipulated, so you are willing to spend more in that atmosphere. An example of this is when best-selling author and branding expert Martin Lindstrom found that when an appliance store was filled with the scent of apple pie, sales on ovens and fridges went up 23 percent. You decide what you want to buy before you even know the price, and no matter what it costs, you know you're going to buy it. For example, you have your mind set on your favorite brand and don't even consider other options that might cost less. Stores facilitate this behavior by promoting popular (and more expensive) brands, making it easy to overlook less expensive choices.